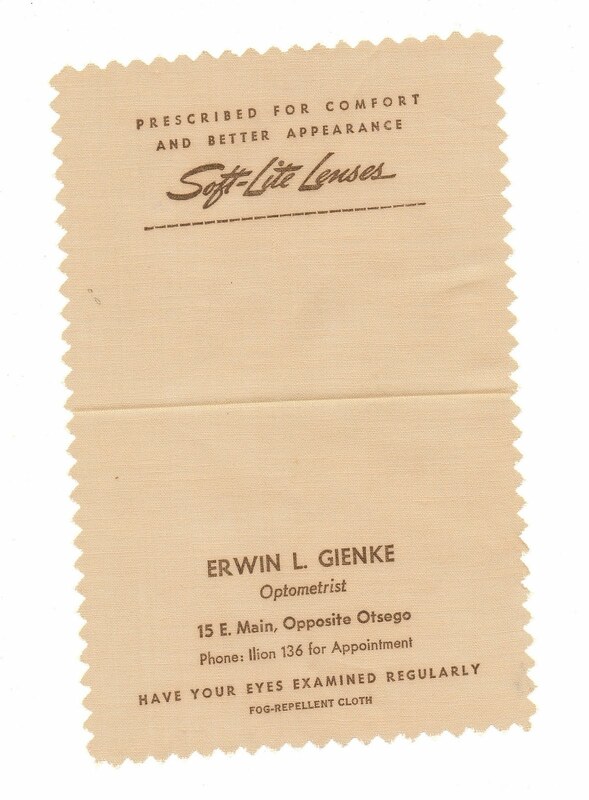 Cloth used to clean glasses, with advertising for Erwin L. Gienke, Optometrist, Ilion, NY. 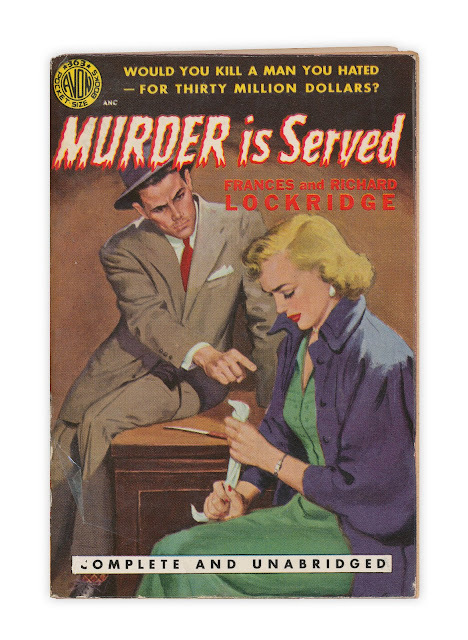 Found in "Murder is Served" by Frances and Richard Lockridge. Published by Avon, 1951. I love that book cover! How about putting a chapter a day at the bottom of each post? That would be fun, but I bet it's still under copyright protection.